Shopping for Star Wars Barware? This bottle opener is right on your tail! 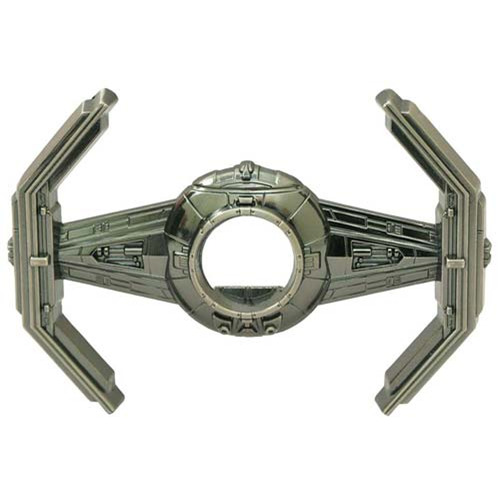 Bottled beverages won't stand a chance against this solid metal bottle opener based on the Empire's tactical TIE fighter! It measures 4-inches long, has magnets on the back and opens any bottle cap with ease. It's also highly maneuverable and can travel long distances - leave it on the fridge, or take it on a mission to your next party! Comes packaged in a collector's case with a full-color wrap. Ages 18 and up.